Tampa Doctor Answers: Can Diet Play a Role in Knee Pain? Dietary factors have been traced to many disease processes. The connection between diet and cardiac diseases and diabetes have been well researched. It probably comes as no surprise that diet can also have a significant impact on knee pain. Eating a diet high in simple carbohydrates and sugar can lead to weight gain, which greatly influences the development of arthritis. 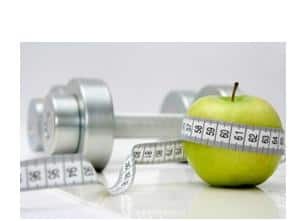 The need for a sound diet and consistent weight management to avoid excessive joint stress is advice that’s easily appreciated, yet often ignored. Dennis M. Lox, MD,, a Tampa physician specializing in sports medicine and rehabilitation, discusses some further dietary factors that can influence the development of knee pain. The omega 3 fatty acids found in cold water fish, some nuts, seeds, and vegetables, over-the-counter supplements have been approved by the FDA in the treatment for cardiac disease but they can also help reduce and prevent joint pain. In a nutshell, omega 3 fatty acids help control the body’s inflammatory response, especially in the blood vessel walls. Since inflammation in one part of the body can influence inflammation in other body regions, including the joints, controlling it becomes extremely important. Eating 1-2 servings of salmon or tuna per week or taking an appropriate daily dosage of omega 3 supplements can help you enjoy healthier joints. Free radicals are sources of cellular dysfunction and diets rich in vitamins are popularized to counter toxic free radicals. Vitamin C has two significantly positive effects in the treatment and prevention of knee pain. First, patients who have injured their knees or other joints while playing contact sports may undergo stem cell therapy. This safe and effective treatment uses stem cells to repair damage at a cellular level and enhance other complementary sports injury therapies. In laboratory settings, vitamin C has been proven to help proliferate the growth of stem cells in culture.Furthermore, two separate university studies have shown that vitamin C taken in appropriate doses — 75 mg/day for women and 90 mg/day for men — can help prevent the development of inflammatory arthritis. Gluten hypersensitivity is thought to affect more and more individuals since changes in dietary gluten have dramatically increased in recent years. Some research has pointed to the possibility that gluten may precipitate cellular processes that invoke inflammatory responses in joints and negatively impact the recovery of injured tissue. Athletes have now become finely tuned to dietary influences to gain every necessary advantage to promote recovery and repair. 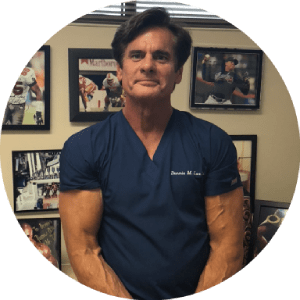 Talk to Dr. Lox about what kind of tests can be performed to determine whether you suffer from a gluten sensitivity that may affect your joints and your ability to heal after sports injury.